I would be interested in less than 5 or possibly more if available. With Hurricane Irma causing severe weather conditions throughout Florida, Major League Baseball has announced that the three-game Rays vs. Yankees series will now be played at Citi Field, September 11-13. Tickets are $25 with proceeds to benefit Hurricane Irma victims. Most (all?) 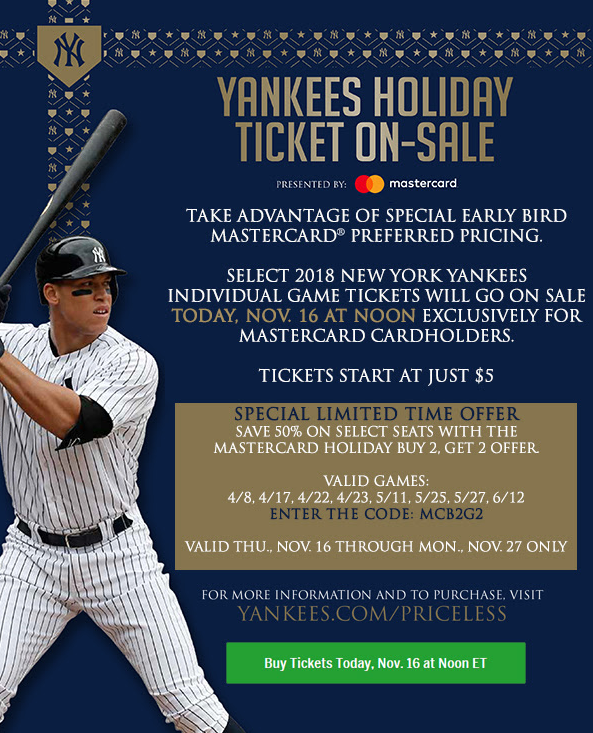 ticket service fees are waived. 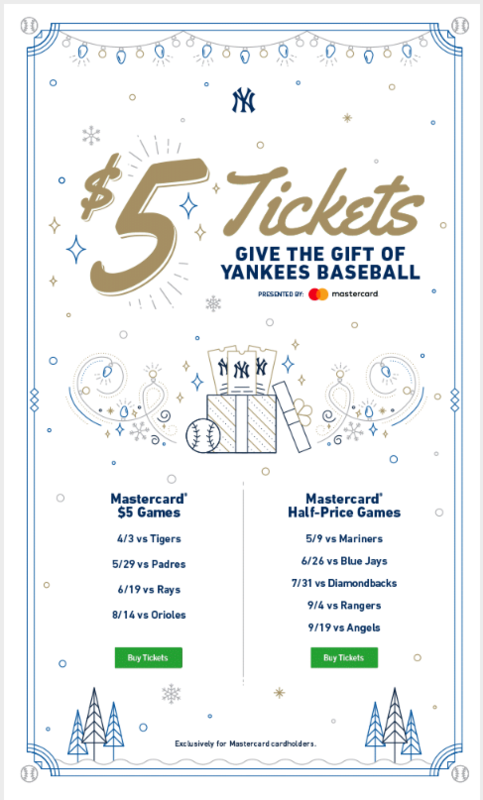 Not many cheaper ways to get good seats to see the Yanks play locally. 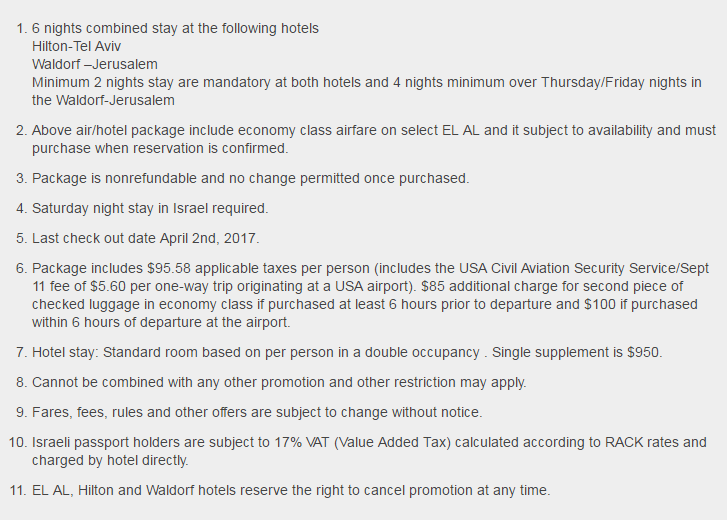 Restrictions: Fares must be purchased using TrueBlue points between now and 4/8/17 (the earlier of 11:59 PM EST or local) for flights Tuesday, Wednesday and Saturday between 5/2/17 and 6/7/17 (Blackout Dates 5/24 – 5/30). Fares will automatically include a 20% discount on the base fare point requirement for Award Flight redemption. Fares are subject to availability; may not be available on all flights; may change without notice; must be purchased at time of reservation; and are nonrefundable and nontransferable. 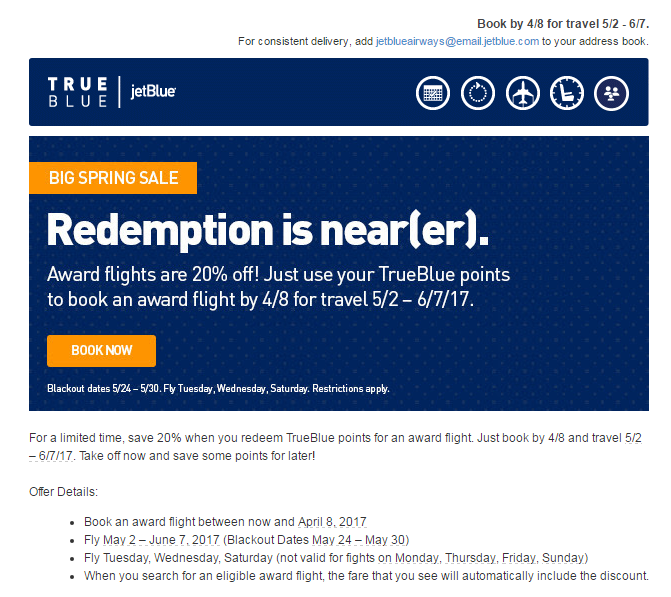 Offer is limited to registered TrueBlue members in good standing redeeming Award Flight fares using TrueBlue points for new bookings only; offer not valid in connection with monetary flight fares, purchases on partner airlines or code share or interline flights, JetBlue Vacations packages, previously booked Award Flights or any other product or service. Offer cannot be partially redeemed, is not redeemable for cash, and has no cash value. Government taxes and fees apply to Award Flights, are the responsibility of the passenger, and will vary based on your departure and destination cities. The amount of government taxes/fees required for an Award Flight is listed next to the applicable point requirement and is subject to change as required by law. View more information on taxes and fees. Award Flight fares are one-way (unless otherwise indicated) and nonstop; point requirement and government taxes/carrier fees may be higher for roundtrip flights, for flights from destination city to origin city or for connecting itineraries. Checked Baggage Allowance/Fees: : For Blue fares, first checked bag is $25 and second bag is $35. For Blue Plus, first checked bag is included and second bag is $35. For Blue Flex fares, two checked bags are included. Additional Baggage Terms (all fares): Additional bags (over two) are $100 each. Weight and size limits and exceptions for itineraries including flights operated or marketed by other airlines also apply. Fares do not include fees for oversized, overweight or extra baggage or other fees for products/services sold separately. View baggage fees and other optional services and fees. Change/Cancellation Fees: All reservations made one week or more prior to a flight's departure may be cancelled without penalty up to 24 hours after the reservation is made. Changes and cancellations made 60 days or more prior to departure date: Blue and Blue Plus: $75 per person fee plus difference in fare. Blue Flex: difference in fare only for changes. Changes and cancellations made less than 60 days from departure date: Blue and Blue Plus: fares under $100, $75 per person plus difference in fare; fares between $100 and $149.99, $100 per person plus difference in fare; and fares of $150 or more, $150 per person plus difference in fare. Blue Flex: difference in fare only. View Change/Cancel fees information. Additional Change/Cancellation Terms (all fares): For changes, there may be a fare adjustment. Cancellations receive JetBlue travel credit, valid for one year. Changes/cancellations must be made prior to scheduled departure (otherwise all money for fare is forfeited). TrueBlue Terms and Conditions apply. View terms applicable to JetBlue Vacations, Mosaic, and Mint changes/cancellations. Proper documentation required for boarding. Flight terms and conditions apply. You can earn 5,000 Bonus Starpoints® after you spend $5,000 in qualifying purchases on your enrolled Starwood Preferred Guest Credit Card from American Express between the time you complete enrollment and May 31, 2017. Enrollment period ends on March 31, 2017. How much are regular flights at this time? Tomorrow is Small Business Saturday, the day we get out, get together, and take our holiday shopping to local small businesses in our communities. Local, independent businesses are what help keep our neighborhoods unique. To help encourage New Yorkers to get out and Shop Small®, we’re teaming up with American Express to give Card Members a free uberPOOL ride (up to $20) which can help you get to your favorite independent business in any of NYC’s 5 boroughs on November 26. To redeem your free ride, just open your app tomorrow and request uberPOOL to a small business near you. The offer(s) apply to the hotel room rate and room tax only. Other hotel charges, service charges and applicable taxes (other than the room rate and the room tax) must be paid for by the MasterCard cardholder in accordance with the cardholder's agreement with the hotel. A cardholder's booking and/or stay pursuant to this Promotion will be subject to the Starwood Terms and Conditions and Privacy Policies. 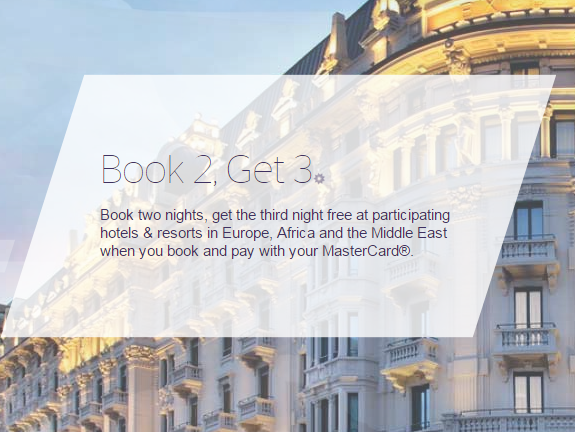 These offers are based on Starwood's best available unrestricted retail rates. © 2016 Starwood Hotels & Resorts Worldwide, Inc. All Rights reserved. FWIW- Ive found some hotel rates way lower than anywhere else through UR. Earn a total of 10% cash back on up to $2,500 in combined hotel and car rental purchases made through Chase Ultimate Rewards® in July. 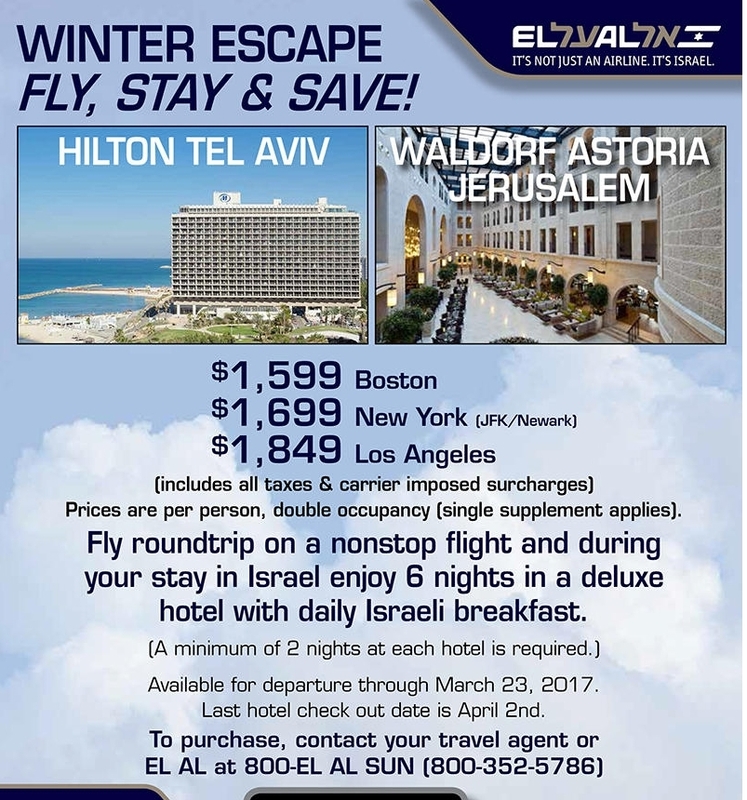 Take advantage of one of our best travel offers. 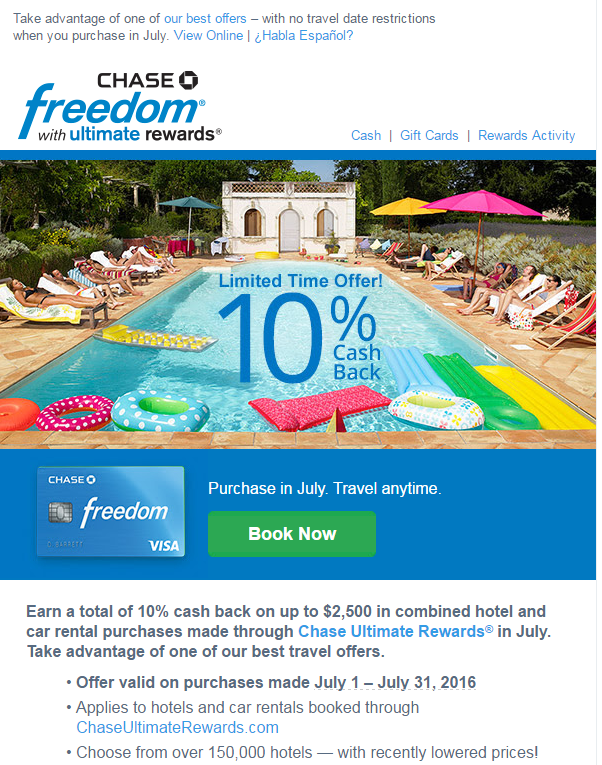 During the promotional period of July 1 to July 31, 2016, earn an extra 9% cash back on up to $2,500 in combined hotel and car rental purchases made through Chase Ultimate Rewards® using your Chase Freedom card. The bonus cash back earned is in addition to the 1% cash back you earn on all purchases for a total of 10% cash back, which means you can earn up to $250 total cash back ($25 cash back plus your $225 bonus cash back). Transaction must post during the promotional period. Bonus cash back will post to your account within a week of the transaction posting, and will appear on your monthly credit card billing statement and be available for use within 1-2 billing cycles. To qualify for this promotional offer, account must be open and not in default at the time of fulfillment. 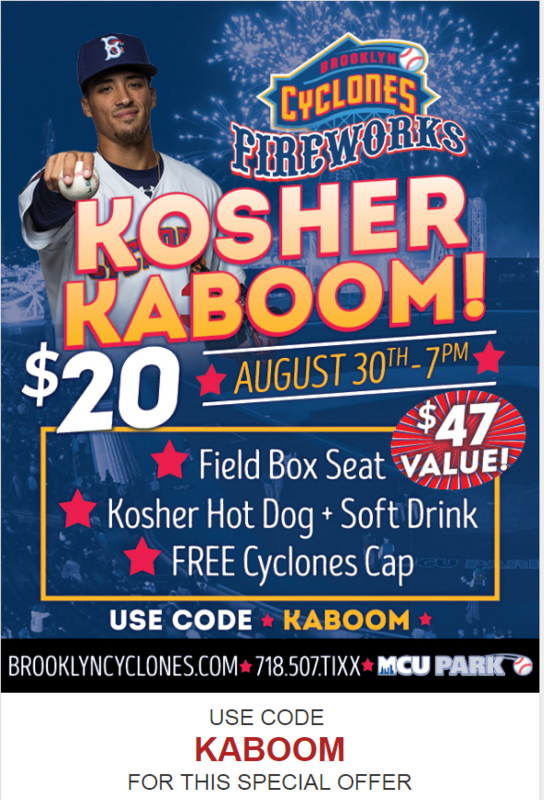 This promotional offer is non-transferable. For more information about your rewards program, see your Rewards Program Agreement. Available now until April 18th. Must visit by June 1 2016.